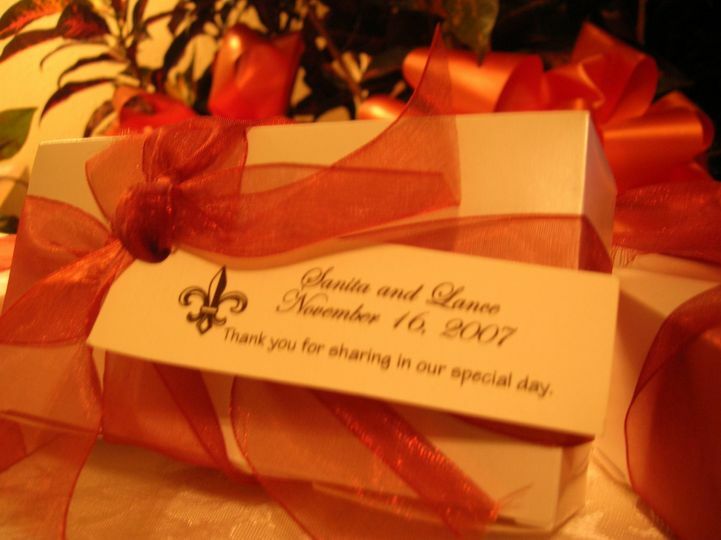 Rosalyn’s Pralines is a wedding favor company in Harvey, Louisiana. New Orleans native, Rosalyn, has been making delicious edible treats since childhood. Using local ingredients, the pralines are hand-crafted with great care and attention. 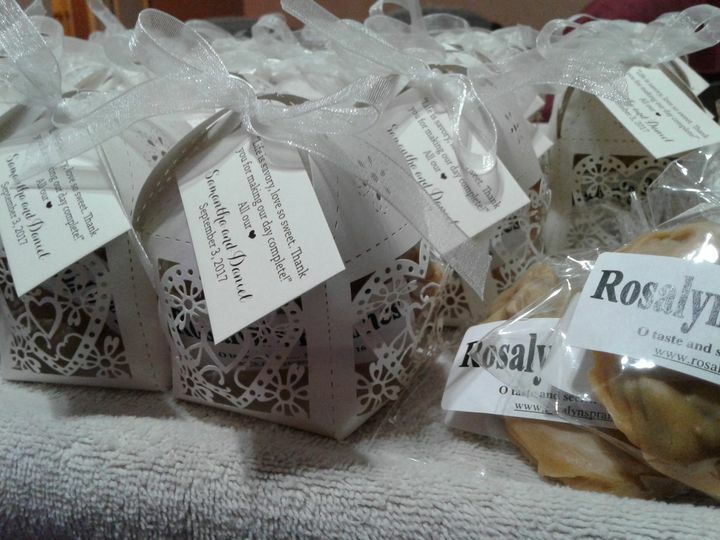 Rosalyn’s Pralines will make these elegant, yet delicious snacks to order, to be the perfect wedding favor for your big day. Rosalyn’s Pralines offers exceptional tasting treats at great prices. 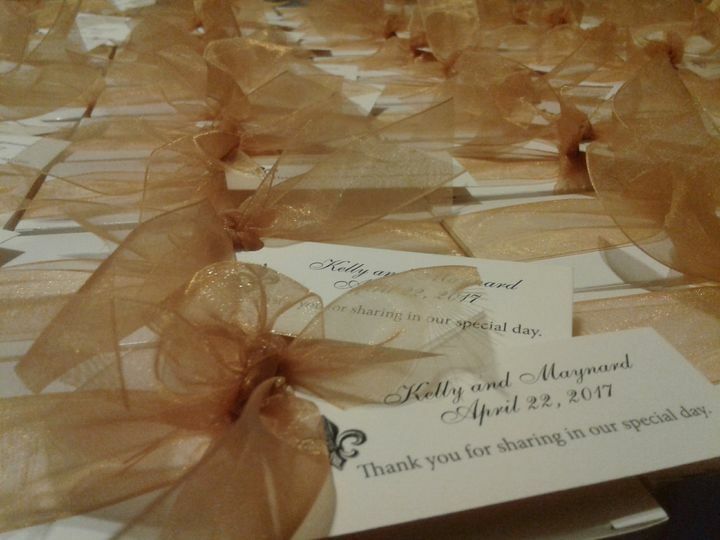 With custom design and packaging, you are sure to give the perfect “thank you” to all of your guests. The turnaround time for the items is typically two to three weeks. 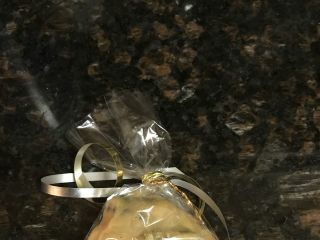 Rosalyn’s Pralines not only makes the most delicious confections, but also provides the customization and customer service you need for the complete experience. All items are made to order, and delivered intact and on time. Thank you Kimberly. 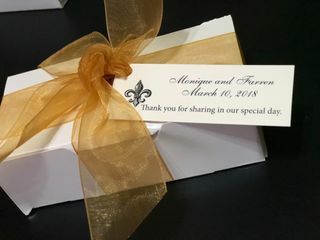 So happy you and your guests were pleased with favors. If you have a picture of them, would be happy to have one to showcase. Again, thank you for your review. Happy New Year! 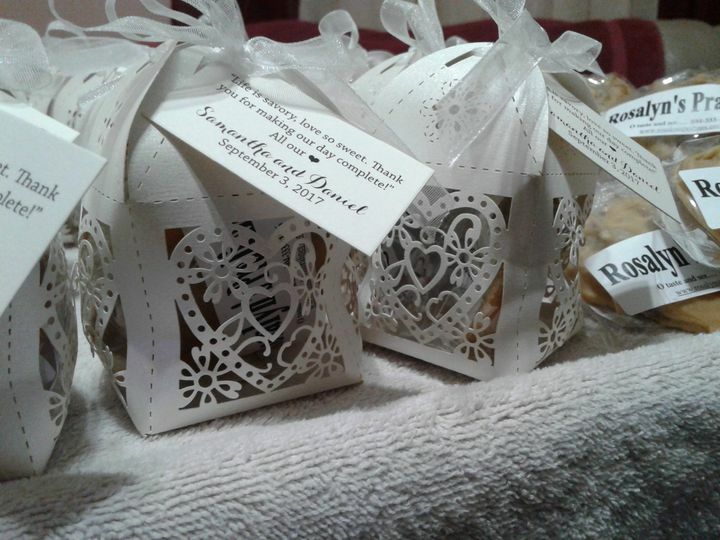 Rosalyn’s Pralines was selected as our vendor for our wedding favors. 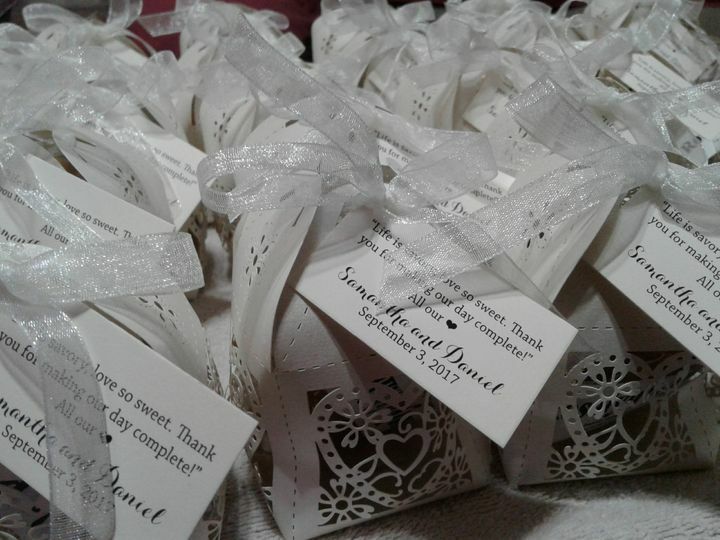 These favors were the hit of our wedding, and our guests are still raving about the pralines 9 months later. 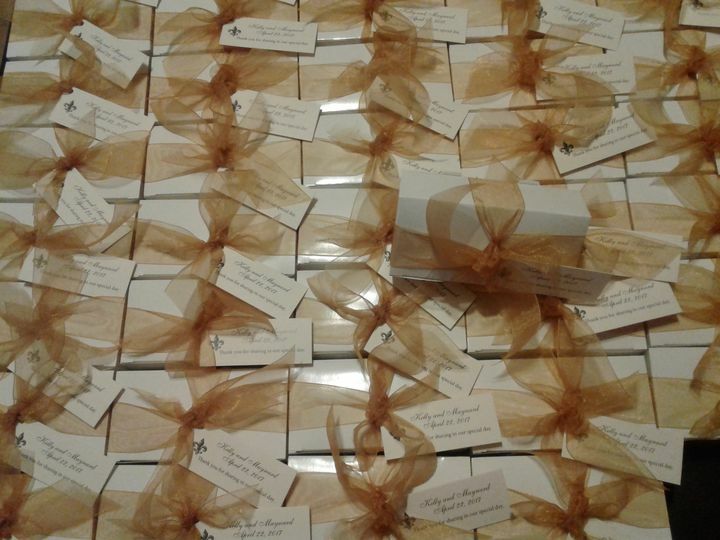 The pralines were individually boxed in pristine white boxes with beautiful gold ribbon and professional labels. Mrs. Rosalyn was a joy to work with for our wedding. You can tell in her work that she takes great care and attention to detail in her pralines. I give this company my highest recommendation, and I continue to use this vendor to send pralines as gifts for different occasions as well. 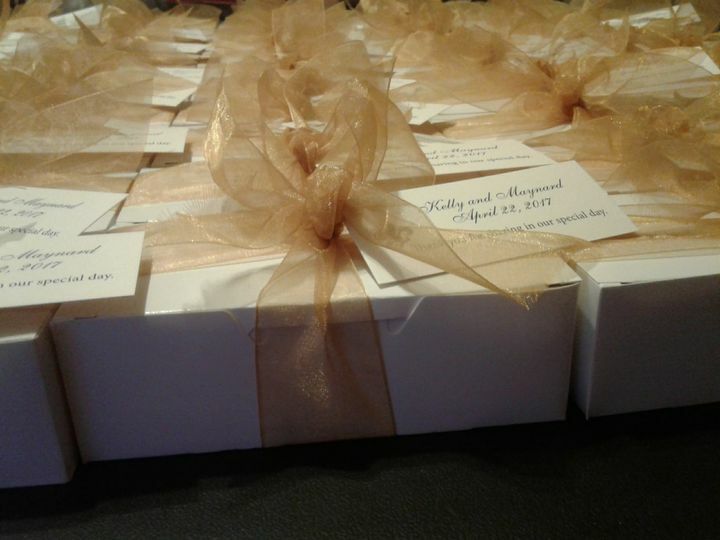 You will be very pleased selecting Rosalyn’s Pralines as a wedding vendor! Thank you for your wonderful review, Monique. 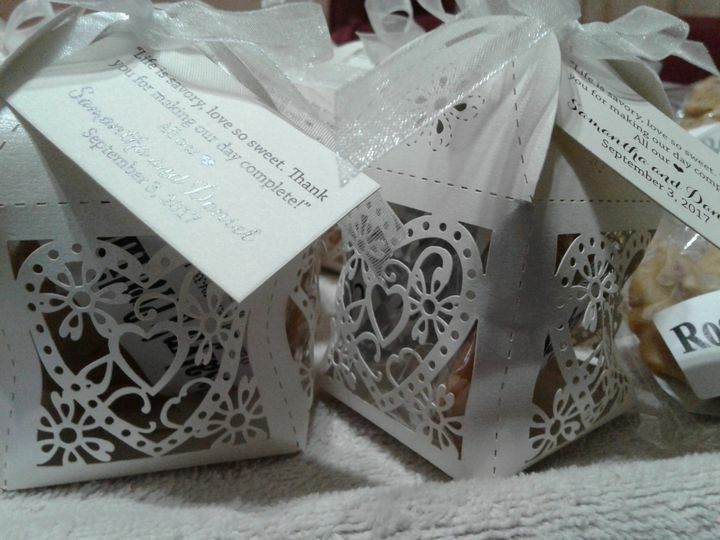 So glad your guests loved the pralines and are still raving about them 9 months later. It was a pleasure. Rosalyn's prawlines were our wedding party favor. They were smash hit and came in the cutest Chinese box. I am grateful to Rosalyn for the perfect, tasty and sophisticated treat! Thank you for your review. 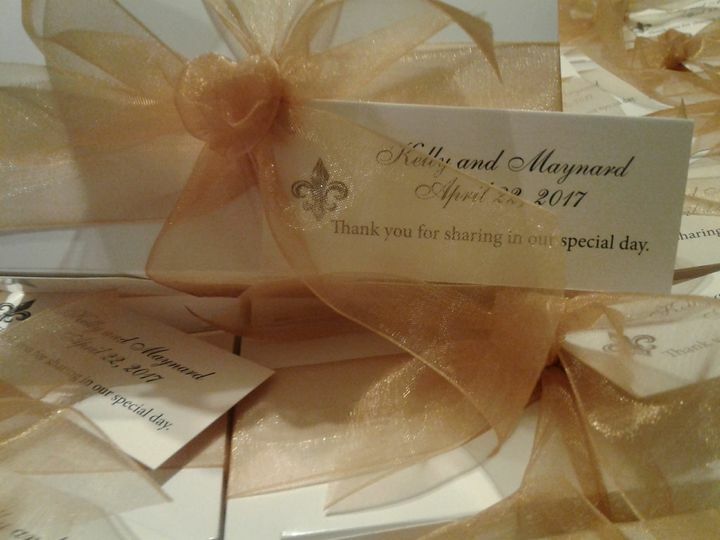 Glad to hear that Rosalyn's Pralines were a smash hit for your wedding favors.